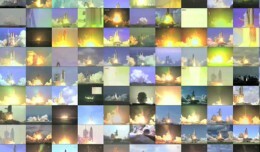 Not long after the final space shuttle lifted off in 2011, McClean Fahnestock merged footage from all 135 launches onto one screen. 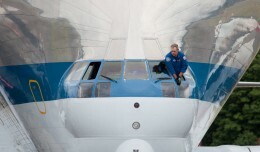 The Space Shuttle Full Fuselage Trainer made its way to Seattle's Museum of Flight aboard NASA’s bizarrely beautiful Super Guppy aircraft. 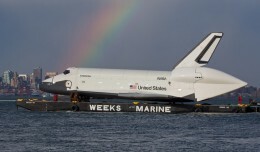 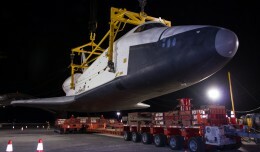 As Saturday night turned into Sunday morning, Space Shuttle Enterprise moved one step closer to its new home at New York's Intrepid Museum, as it was lifted off the back of the Shuttle Carrier Aircraft 747.